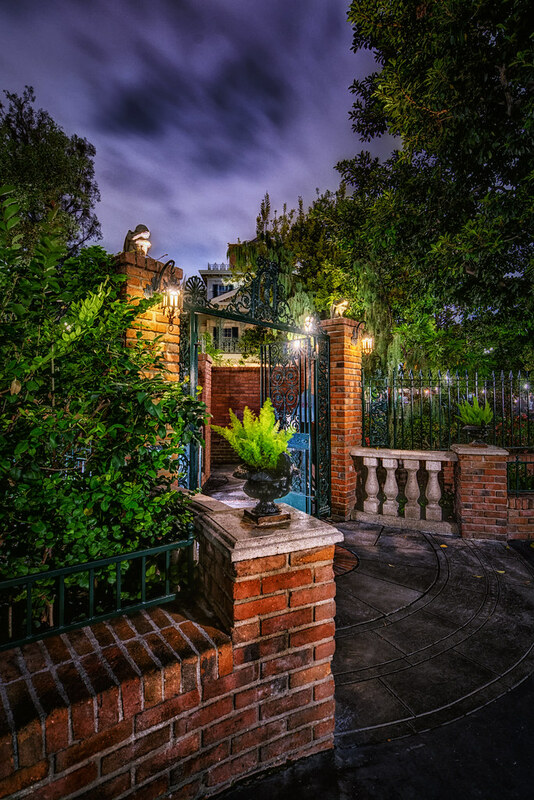 The Haunted Mansion fastpass queue and the entire area surrounding it are eerily beautiful. The scene is at times inviting enough to make you want to actually spend a night in a mansion full of ghosts. This entry was posted in Haunted Mansion and tagged fastpass, Haunted Mansion, night. Bookmark the permalink.